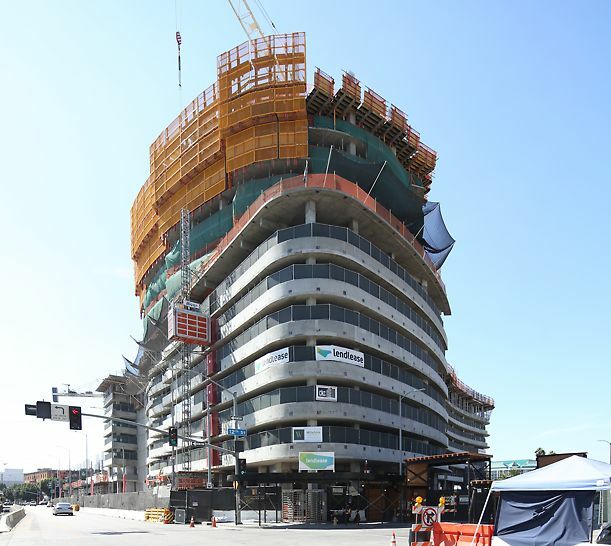 The two 34-story residential towers being erected in downtown Los Angeles at 1200 South Figueroa, directly across from Staples Center, will provide 648 high-end residential condominiums and more than 50,000 ft2 of ground level retail space in an eight-level podium. 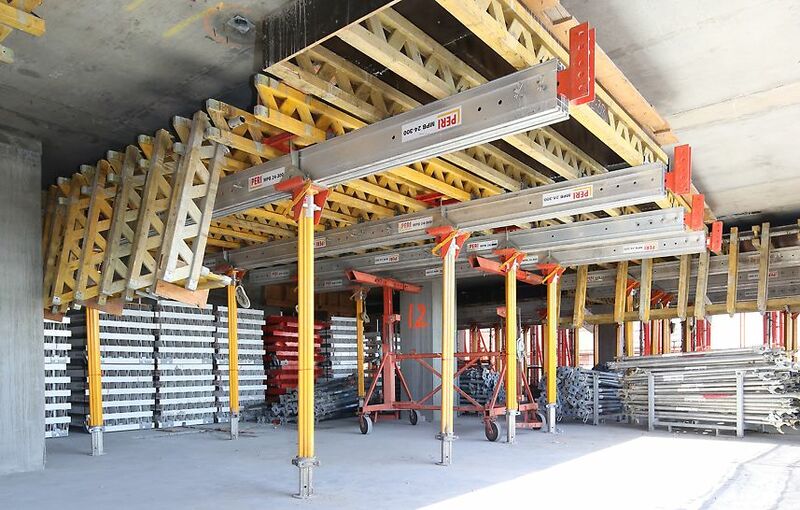 Using PERI swivel tables for the perimeter deck shoring is allowing Largo Concrete personnel to quickly and safely cycle forms with the PERI Lifting Fork, while the PERI GRIDFLEX Shoring System provides an easy infill system for the deck shoring. 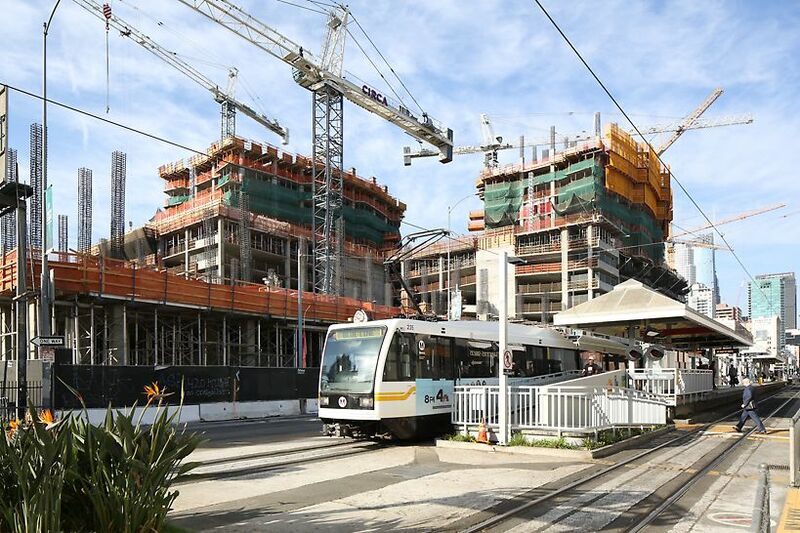 The swivel tables employ custom handrails that exceed the California OSHA standards to meet the high safety requirements of the general contractor, Lendlease Corp.
PERI LPS Lightweight Climbing Enclosure was added on the east side of the building as protection for patrons of the Metrolink station below. 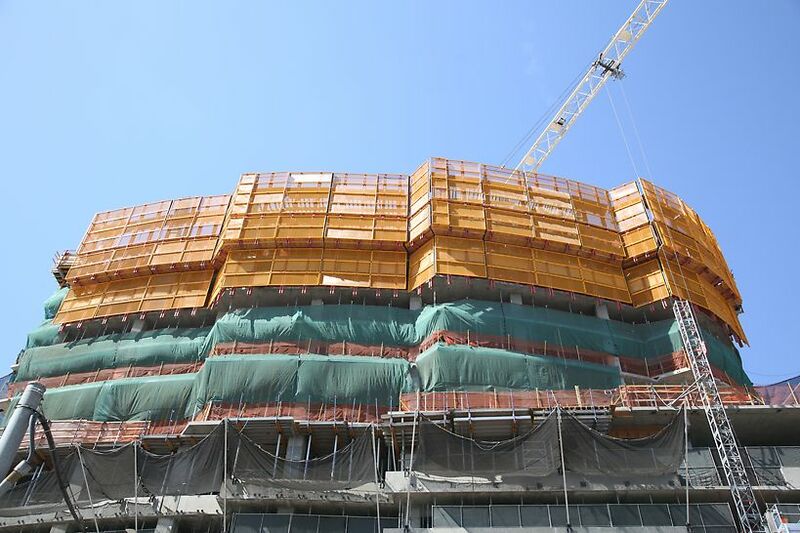 Furnished complete with hydraulic lifting accessories, the LPS Screen uses higher standard mesh screens, plywood flaps, and rubber gaskets to again meet the general contractor’s increased safety requirements. 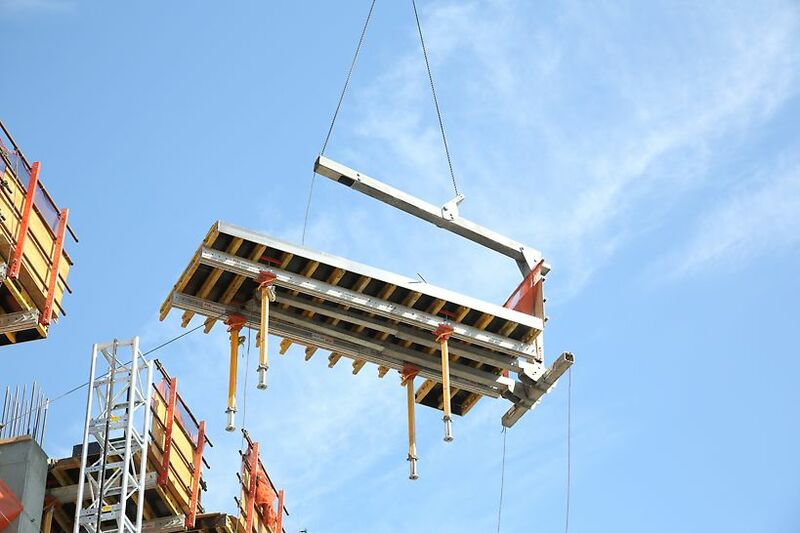 Throughout the project, partnering with PERI has enabled Largo Concrete to leverage the experience and expertise of both firms to meet the general contractor’s high requirements for safety based on its history of successful projects in the New York market. 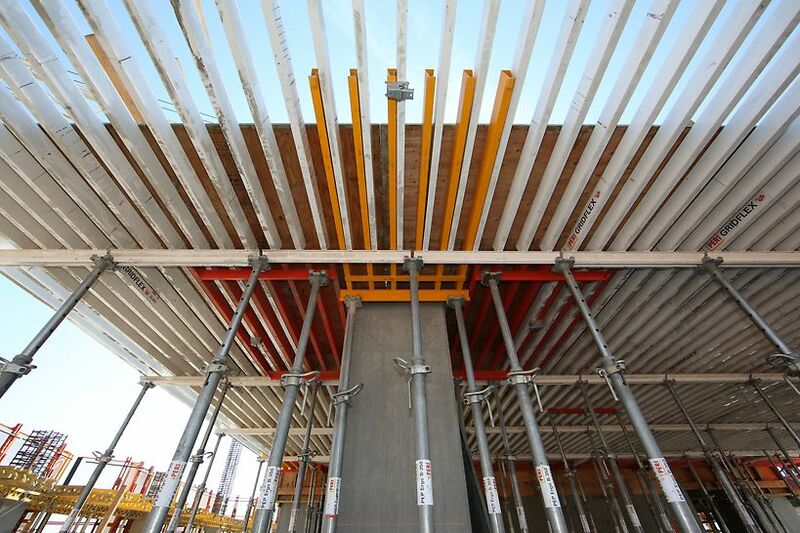 Working with the PERI Engineering Team, Largo Concrete Inc. was able to create a ‘project-specific’ solution to hand-set formwork on the perimeter edge of 1200 South Figueroa towers utilizing the PERI LPS Screen as an alternate method of protecting the perimeter areas of the typical tower floors.